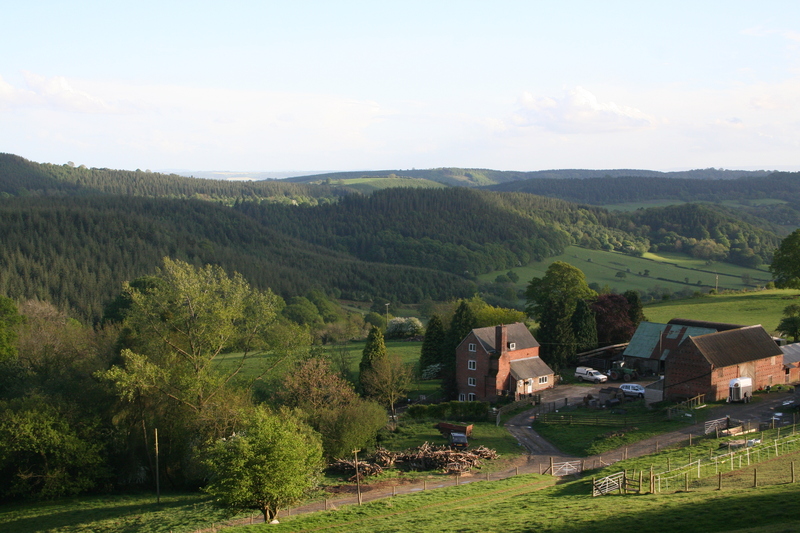 Monstay is a working farm in Northern Herefordshire. Whilst staying on the farm you'll get to see every aspect of rural life, from the rearing and husbandry of animals to environmental conservation schemes and renewable energy production. Walking - Monstay is surrounded on all sides by the ancient Mortifers Forest. There is direct access from the farm to miles of footpaths and bridleways within the forest which are perfect for all walking abilities, including dogwalking and horse riding. Mountain Biking - The farm is just 500m from the Bringewood championship-grade downhill course. Along with many other mountain biking courses in the forest, the Bringewood course is free and open all year round to the public. On certain weekends there is an uplift service (see Pearce Events for more information. Historic Town - Dating back to the 10th Century, the town, dominated by it's magnificent castle and church, is a focal point for the history and culture of South Shropshire. More information can be found on the Ludlow Tourist Information Website. Ludlow Food Festival, 2nd Weekend in September. Ludlow Spring Food Festival, Mid-May. Ludlow Fringe Festival, Mid-June/Early July. Ludlow Arts Festival, 15 miles. Ludlow Green Festival, 2nd Weekend of July. Ludlow Medieval and Christmas Fayre, Last Weekend of November. Cycle Hire (Wheely Wonderful Cycling), 3 miles. Leisure Centre and Pool (Ludlow Leisure Centre), 3 miles. Golf and Ten Pin Bowling (The Grove), 10 miles. Soft Play Area (Mickey Millers Playbarn), 10 miles. Horse Riding (North Farm Riding School), 2 miles. Paintballing, Quad Biking and Clay Pigeon Shooting (Oaker Wood Leisure), 9 miles. Steam Railway (Severn Valley Railway), 20 miles. Acton Scott Working Farm, 12 miles. Shropshire Hills Discovery Centre, 10 miles. Ludlow Food Centre, 4 miles. Monkland Cheese Dairy, 15 miles. Numerous other pubs, cafes and restaurants; please ask us for our experiences.